Whether you&apos;re kitting out your home office or making buying decisions for a whole studio&apos;s worth of people, it&apos;s unlikely that computer keyboards will be at the top of your priority list. But that doesn&apos;t mean it isn&apos;t important to have the best keyboard you can afford. Along with a great mouse, the right keyboard can make you more productive, whether that&apos;s down to ergonomics, ease of use or built-in shortcuts. Perhaps you&apos;re suffering from carpal tunnel or RSI, the bane of many creatives&apos; lives – the right peripheral can help with both. Or maybe it&apos;s none of the above, and you&apos;re just looking for a more stylish addition to your carefully art-directed studio space (in which case you might also be interested in the best monitors, too). So which is the best keyboard for your needs? 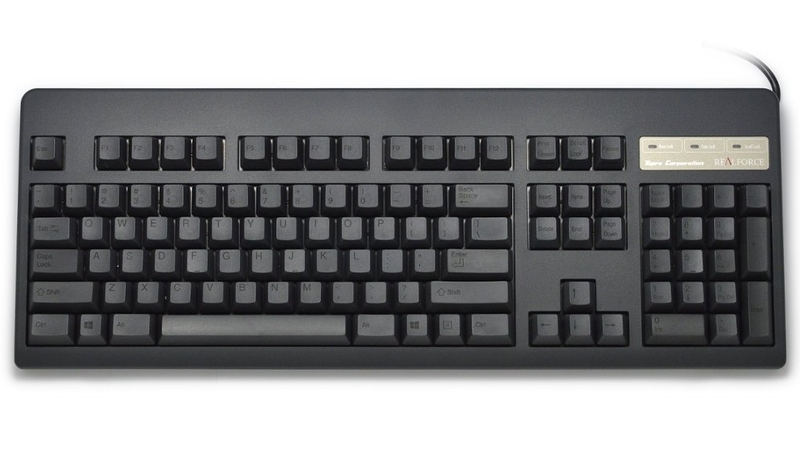 Should you choose a mechanical keyboard, wireless keyboard or an ergonomic keyboard? Can you get all of these in one? What if your budget is low? 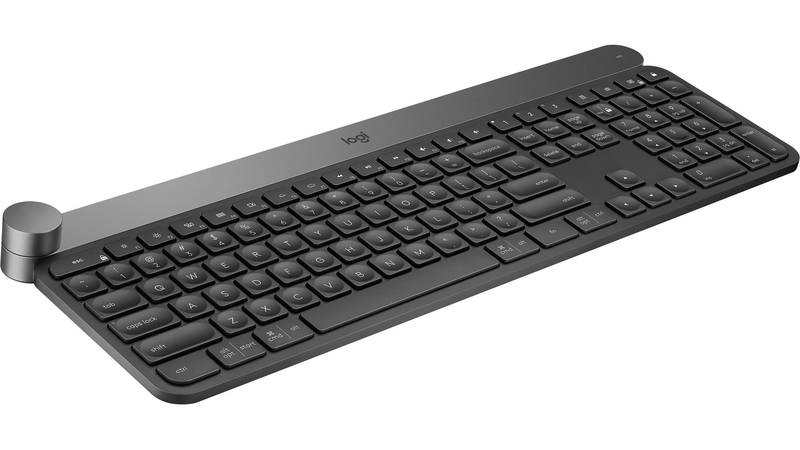 Logitech&apos;s pitching squarely at designers, illustrators and digital artists with this frankly excellent wireless keyboard, Logitech Craft, which could give a tidy boost to both your creativity and your productivity, if you can afford it. The real game-changer with this keyboard is its multi-function dial (the &apos;Crown&apos;) at the top-left, which enables you to control parameters in your favourite Adobe applications – including Photoshop CC, Illustrator CC, InDesign CC and Premiere Pro – as well as Microsoft Office packages. You can zoom in and out, tap to show and fine-tune tool parameters quickly and easily, and adjust everything from scale and opacity of objects to size, leading and tracking of text. There&apos;s nothing quite like the feel of a good-quality mechanical keyboard, giving you proper crisp, tactile feedback on every keystroke by substituting the rubber domes used by cheap models for proper, functional switches – usually from the Cherry MX range. As well as lasting longer, mechanical keyboards also enable faster, more accurate typing. Step up the Corsair K95 RGB Platinum. Ostensibly a gaming keyboard, complete with RGB backlighting, it&apos;s also great for designers keen to assign macro functions to the six dedicated keys – for your most-used Adobe actions, for instance. Thanks to its 8MB of onboard memory, these macros can be saved onto the keyboard itself, making it perfectly portable between machines once programmed (although the complex software makes this a little tricky). Like the Logitech Craft, this is certainly not a cheap option, but if you make full use of its capabilities, it&apos;s worth the initial hit. All too many designers suffer from conditions such as RSI and carpal tunnel syndrome, with awkward keyboard shortcuts and repetitive keyboard actions often the culprit. 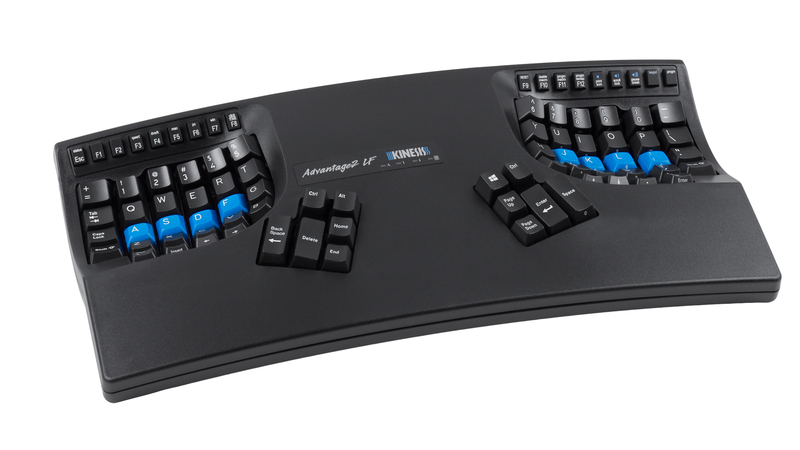 Kinesis&apos; Advantage2 LF definitely stands out from the other great keyboards on this list for its unique aesthetics, which are designed entirely with ergonomics in mind. Concave key wells on each side of the keyboard minimise strain on your arms and fingers as you type, while the mechanical Cherry MX Red linear switches make typing as smooth and satisfying as possible. And if keyboard shortcuts are your issue, the Advantage2 LF rather puts Corsair&apos;s K95 RGB Platinum to shame with a staggering 48 programmable macros. 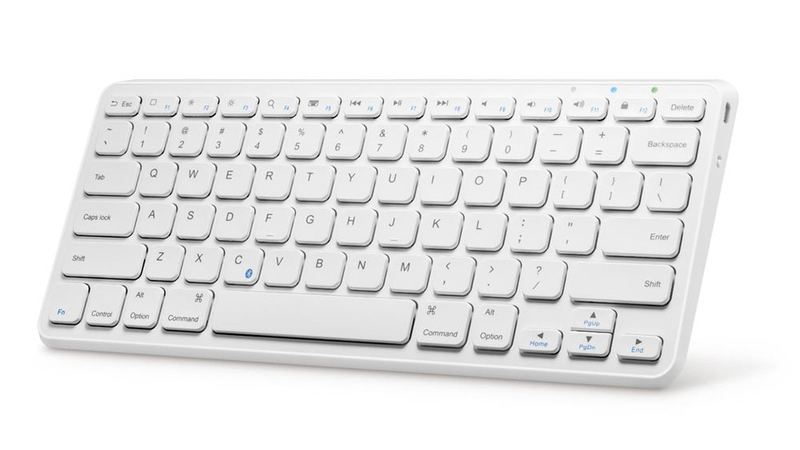 Compared to some of the eye-watering price tags on this list, Anker&apos;s Universal Bluetooth Wireless Keyboard is quite simply incredibly good value. The Apple-inspired white offering can connect via Bluetooth to the Android, iOS, Windows or MacOS device of your choice, and the low-profile, matte-finish keys make for a surprisingly satisfying typing experience for the price. 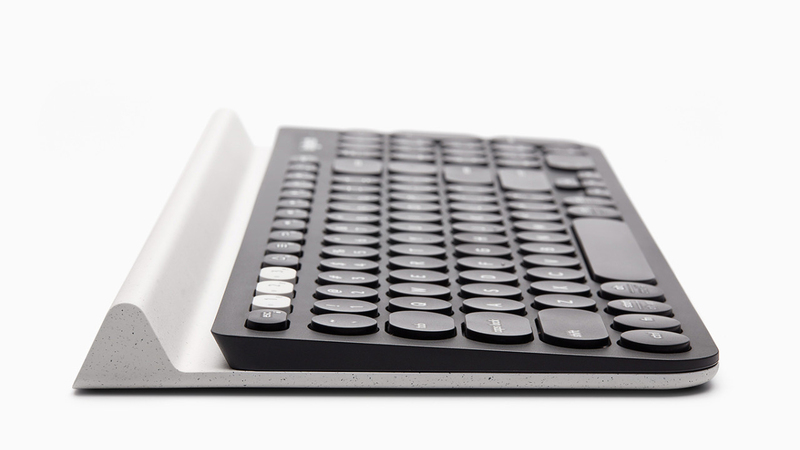 Of course, the fact that its look and feel are so obviously influenced by Apple – albeit crafted from budget plastic, rather than aluminium – may make this keyboard look a little out-of-place for PC users, but that&apos;s a small price to pay considering, well, the small price you&apos;ve paid. 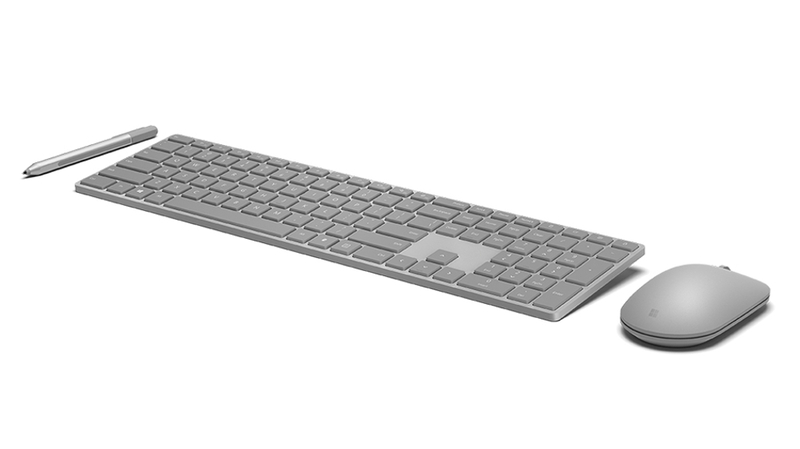 Microsoft&apos;s Modern Keyboard with Fingerprint ID is a stylish and attractive keyboard that&apos;s easy to carry around with you, and perfectly complements Microsoft Surface devices – though it can also be used with any other laptop or tablet. It feels as good as it looks, and there&apos;s a fingerprint scanner included for biometric login, which means you can quickly, easily and securely log into your machine with just a touch. It&apos;s a bit on the expensive side, but we think it&apos;s well worth it. Targeting both smartphone and tablet owners, Logitech&apos;s K780 keyboard expands on its earlier iteration, the K380 – quite literally. This newer version is longer, and includes a handy number pad. Like its predecessor, the K780 can pair with up to three devices at once using Bluetooth or wireless, so you can toggle between them as you type on the comfortable rounded keys. Slot your iPhone, iPad and/or Android device into the perfectly-placed slot in the keyboard&apos;s base – which can hold devices up to 11.3mm thick in an upright position – to make everything more comfortable. 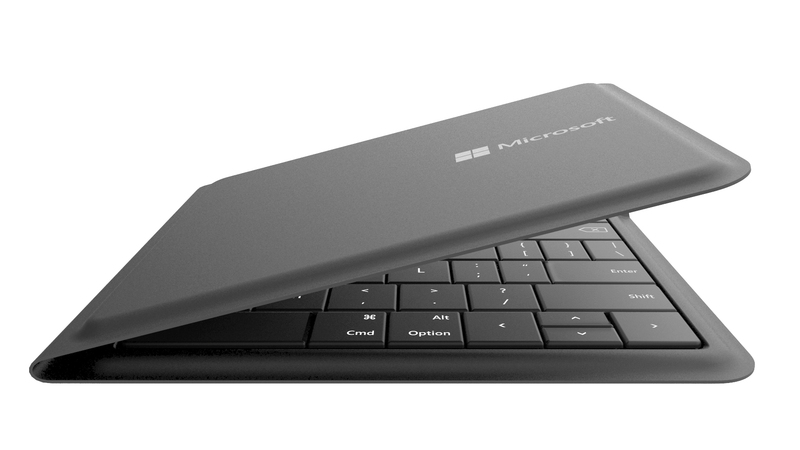 Easily the most &apos;fun-sized&apos; and compact keyboard on the list, Microsoft&apos;s Universal Foldable Keyboard is roughly the size of a pack of cards when folded in half (at just under 15cm), making it perfectly pocket-sized and ideal for travelling. It works with Android, Windows Phone and iOS over Bluetooth, and has USB charging. While it&apos;s perfectly portable, however, you will still need a flat, stable surface to type on as you won&apos;t be able to use this on your lap very comfortably. Mechanical keyboard are fantastic in many ways, as they are accurate, dependable and feel satisfying to type on. They can also be very noisy as well, which can be annoying to you (or your co-workers), especially if you&apos;re a fast typer. The Topre Realforce 104UBS Silent variable is a brilliant keyboard that&apos;s been designed to be as quiet as possible. Hitting the 104 UBS’s keys produces sound on par with a membrane keyboard, so it’s going to be great if you work in a busy office or a shared workspace. The ‘dampened’ feel of Topre’s silenced switches can feel kind of like typing on sandpaper compared to a non-silenced board, but we found that it’s worth the trade-off if you need a quieter keyboard.